Oceanfront and Oceanview buildings are surrounded by 2 pools, a Jacuzzi, and the sparkling Atlantic. The Hamlet buildings are located a bit farther back on the property and are nestled alongside another pool and Jacuzzi. All are a very short walk from the boardwalk over to the beach. Hibiscus is perfect for events as varied as honeymoons and family reunions. The Club House is located in the center of the property and is available for private rental for a small fee. It is located near one of the three pools and includes a full kitchen and the area necessary for a lovely private party. Grills are located near all of the three pools, as well, also easily accessible by the Club House. Who could resist a barbecue or two during their time here? Grilled burgers or steaks can be paired with side dishes easily prepared in your full kitchen and enjoyed on your balcony or patio. A sundeck is located above the Club House which would be perfect for dancing under the stars in addition to sunbathing. Inside the Club House is the small but complete workout room. 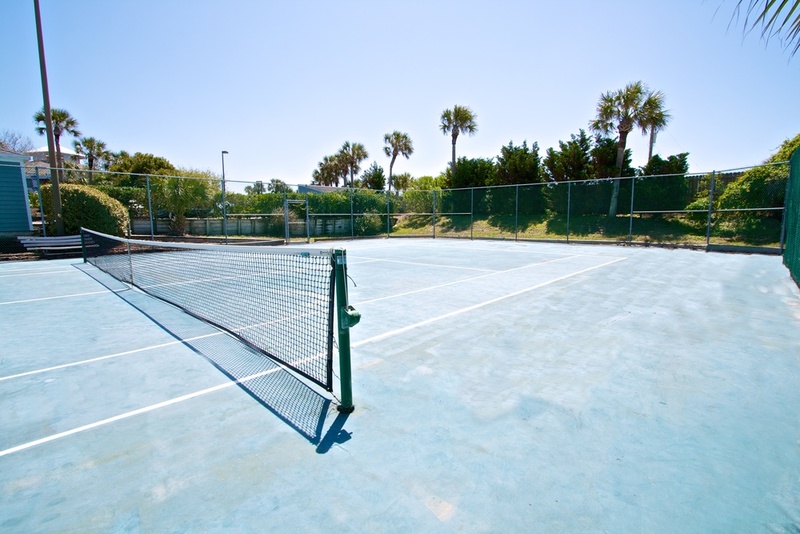 Exercise in air conditioned comfort before or after jogging on the beach, doing laps in one of the pools, or enjoying our tennis court. Complete the regimen with a soak in a Jacuzzi. You’ll be energized and refreshed and ready for a night on the town in St. Augustine, enjoying fine dining and perhaps a carriage ride. 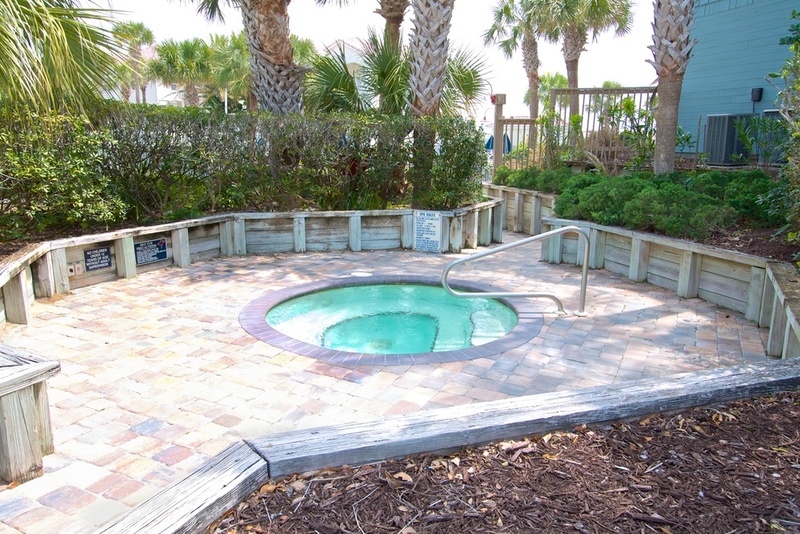 Whether you want to enjoy Hibiscus’ proximity to St. Augustine or seclude yourself at the resort throughout your entire vacation, you will have everything you need. We look forward to making your reservation! 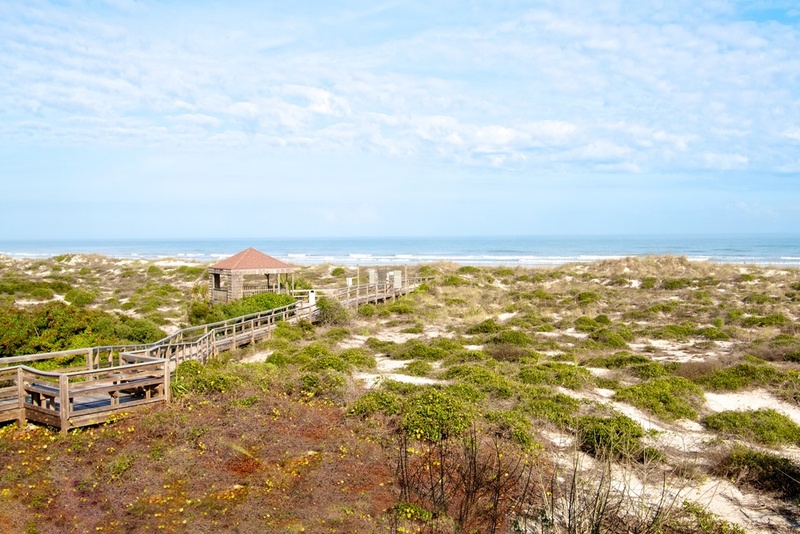 An atmosphere and setting that only the unique community of St. Augustine and its beaches can offer.